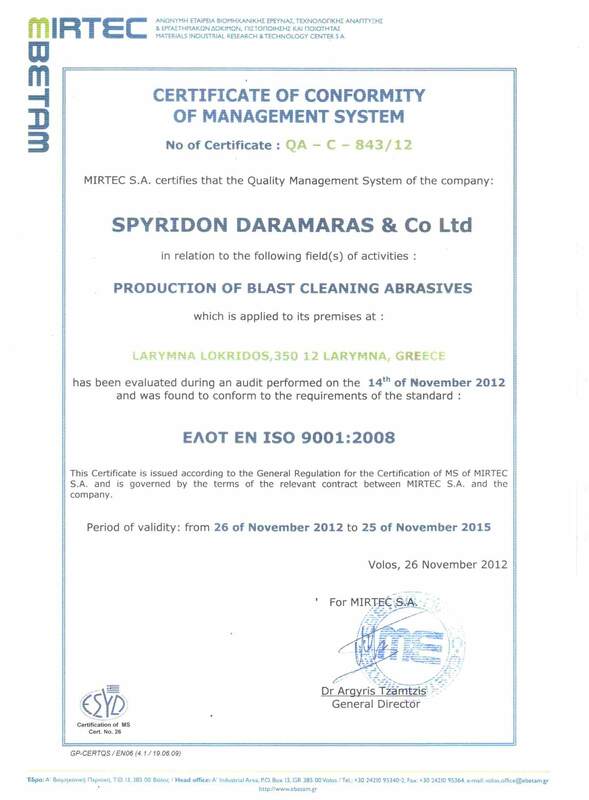 It is our Company's policy for the production and final inspection of its product (all ranges of grit material) to meet the quality requirements of EN ISO 9001:200, the specifications of ISO 11126:1993 and the Customer's requirements as delineated in the relevant purchase order specification and associated documentation. 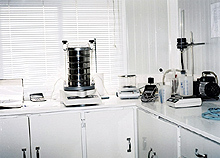 To this end the Company operates a documented quality system in accordance with EN ISO 9001:2000 and implements quality control procedures as per ISO 11127:1993. 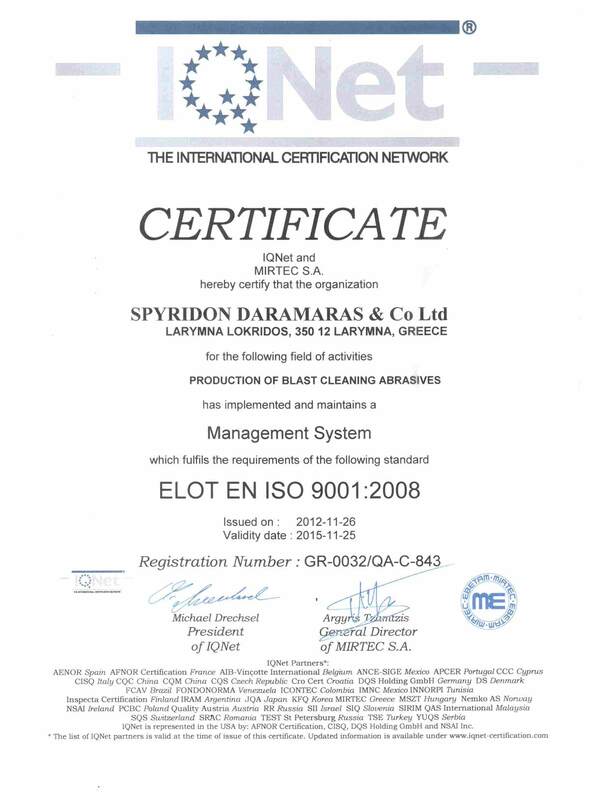 The Company's quality system has been certified by ELOT (Hellenic Organization for Standardization). 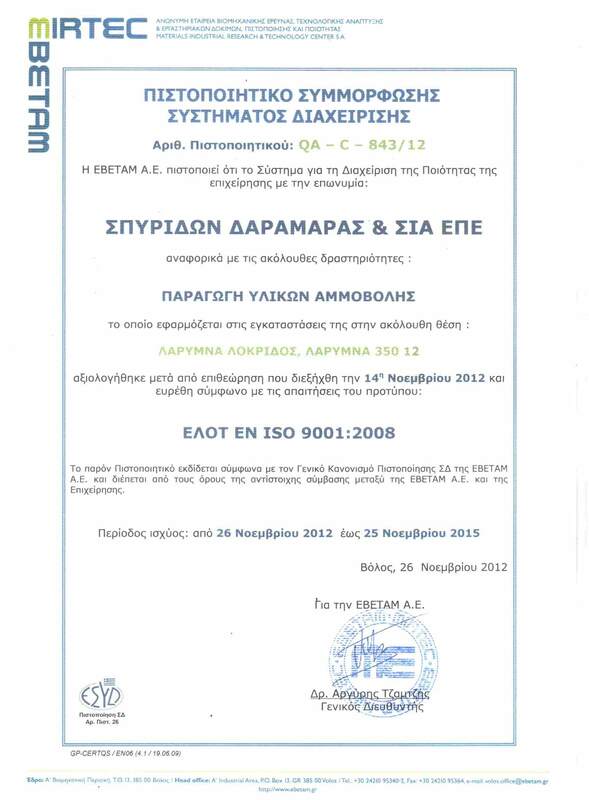 Copy of the EN ISO 9001: 2000 compliance Certificate is attached. Every batch or load has a discrete identity and is accompanied by a quality control certificate which provides the data required by ISO 11126:1993.